Sharon, a MANUFACTURING 2000 student has both a passion for people and a passion for working with her hands. Sharon is a laid off school bus driver/dispatcher who found New Century Careers through CareerLinks while looking for a change. Sharon loves working to build and put things together and has the desire to work in a company which aids in building America. Not only did Sharon excel through MANUFACTURING 2000 gaining new skills, but she has also created a relationship with each of the other students. Sharon wanted to see her peers succeed as much as she wanted to herself. Sharon was hired on-­the-­spot at Dura-­Metal. Sharon is so excited that she now has health insurance through Dura-­Metal and cannot wait to begin her new career. Ron was a high school graduate who was not interested in a traditional four-­year education. He excelled in high school robotics programs, and completed the M2K program ahead of schedule. Afer earning two NIMS industry credentials, Ron joined Chelsea-­Building’s manufacturing team. Ron was accepted into the NTMA Apprenticeship program where he continues to succeed. 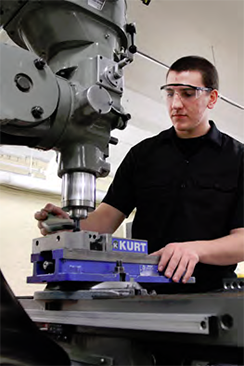 After working as a general laborer and being exposed to the manufacturing industry at Wojanis Hydraulic Supply Company, Adam knew that he wanted to become a machinist. Adam has an extraordinary attention to detail which gives him great precision. While training with MANUFACTURING 2000 for over 500 hours, earning numerous NIMs Industry Credentials and planning his own wedding, Adam has always kept his eye on the goal of obtaining an exceptional career. After multiple interviews, Adam was placed within Kurt J. Lesker, one of our member companies. 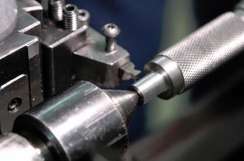 Nelson had a passion for machining since taking machine shop class in high school. As a seasonal construction worker, Nelson wanted something more stable. In the winter of 2012, Nelson decided that there was no better ;me to start training for something else, something he was very interested in. Nelson attended MANUFACTURING 2000 during the evening and always arrived early, prepared to work and ready learn. Despite high school being a decade ago, Nelson’s strength in precision measuring shined. He was able to pull from past construc;on and machining experience to excel in class. Nelson was hired on-­?the-­?spot immediately following an interview. In October 2013 Nelson joined two other MANUFACTURING 2000 graduates at Dura-­?Metal Products Corpora;on. Congrats Nelson! Joe, an experienced product manager, salesman, and drasman came to New Century Careers after being laid off numerous times. Joe was looking for a career change that would offer him a stable job in an environment he has always enjoyed. After seeing an advertisement in the Pittsburgh Business Times, Joe knew that New Century Careers was a great option. 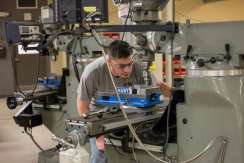 Since the start of his MANUFACTURING 2000 machinist training, Joe excelled quickly. Joe was able to complete all projects and training levels in a shorter amount of time than anyone else in the program. Although New Century Careers only offers three NIMs Credentials, Joe earned four. Joe became such an asset in helping to assist new students and was praised by staff and peers that he was hired by New Century Careers to be an assistant instructor. Even when Joe was not assistant teaching, he still came to class to further his skills and help other students. 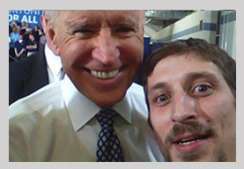 After weeks of continuous interviews, Joe was hired by Sloan Brothers. Sloan Brothers was so impressed with Joe and the skills that he learned through MANUFACTURING 2000 that they signed a member agreement. 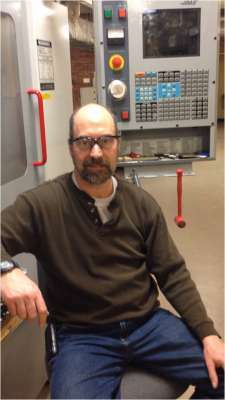 Despite securing a full time job, Joe still attends Saturday CNC class and acts as a substitute instructor when needed. Mike had dreams of becoming a mechanical engineer but was overwhelmed by the financial burden school would cause. Feeling stuck in life’s trenches and barely making enough money to afford living expenses, Mike needed to catch a break. While looking through an employment guide, Mike saw an advertisement for New Century Careers. Upon enrollment, Mike knew he was in the right place. He completed MANUFACTURING 2000 with perfect attendance while working full time as a waiter at a local café. 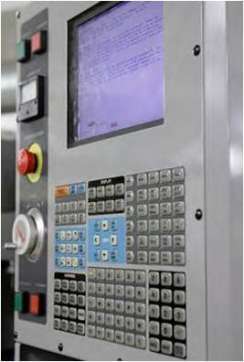 Mike was offered a job as a CNC operator even before completion of the program. Mike moved up the career ladder and became a CNC machinist. He was even able to continue his education and earned an Associate of Science degree while working full time. During a brief layoff, Mike returned to New Century Careers looking for additional help. Because of his recently acquired degree, Mike qualified for a grant providing him further training and an opportunity for new employment. Because of the opportunities he received from New Century Careers, Mike currently holds a class 17 CNC Machinist title, which is the highest class/pay rate that can be held within his union. He also holds a 3D drafting title. 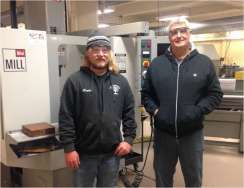 Mike is also an instructor for both New Century Careers and the Pittsburgh Chapter of the NTMA Apprentice Program where he teaches CNC programming and Trigonometry. Mike is happy working three jobs that he loves and is earning as much if not more than a mechanical engineer…enough to support his family comfortably in their newly acquired home. Mike talks of New Century Careers, “New Century Careers has played a major role in changing my entire life because of the free machinist training program. Before I went through MANUFACTURING 2000 I had nothing and could barely afford to eat. I now have three great jobs that I absolutely enjoy and I can financially afford to take care of my entire family.” Mike supports and promotes New Century Careers whenever and wherever he can. Robert a California native, Robert spent his entire life transporting deliveries for the same food service company. After moving to Pennsylvania Robert realized that he didn’t want to continue on this pathway. Robert wanted to do what he loved, work with machines and motorcycles. Robert only had informal machine training by a friend in California and was finding it difficult to find a company willing to take a chance on him. Robert needed formal training to achieve his goals. Robert found MANUFACTURING 2000 and excitedly enrolled. He was able to excel at great speeds through the program. Robert received 3 NIMS Credentials and was hired by a company so close to his house he walks to work. Since starting his new job as a machinist, Robert has expressed his gratefulness for M2K and happiness with his new career. Marti was recently unemployed due to a plant shut down, had been employed for over 18 years with a circuit board manufacturer using mills, bandsaws, drill presses, and traveling wire cutting machines. With no formal training, Marti was seeking accreditation to go along with her work experience. 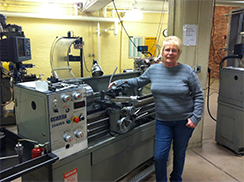 Marti attended MANUFACTURING 2000 at the Eastern Westmoreland Career and Technology Center training for over 500 hours and earned two NIMS credentials. With her newly acquired formal training, industry credentials, and previous work experience Marti was hired at Dura-Metal Products joining a handful of other M2K graduates. John, an unemployed former Xerox technician needed a new career path. John’s creativity and initiative was evident in his ability to design and build his own alpaca farm. With an interest in metal working, John trained in MANUFACTURING 2000 (M2K) machinist training for over 400 hours. John also took the initiative to complete 48 hours of CNC programming training on Saturdays. John was hired on the spot by Testa Machine Company and was so pleased with his experience that he referred his daughter Paula and her brother-in-law Adam to the M2K training. Paula, with existing technical skills was underemployed and unfulfilled in her dead-end job. Paula trained for 6 months and was hired by her first choice employer, ER Shaw Inc. after her second interview. Adam being unemployed, enrolled in M2K and is expected to complete training in Fall 2014. David had worked his way up the career ladder at a door and window manufacturer for over 35 years. After his company was bought by another, a new direction was taken and big changes happened. David lost his job and did not know where to restart. While earning his GED, David applied for MANUFACTURING 2000. Because of David’s previous work experience he excelled through the program at impressive speeds. David learned new techniques and proved to be an asset of knowledge in helping and guiding other students. David was even able to enroll in Saturday CNC courses to further enhance his skills. 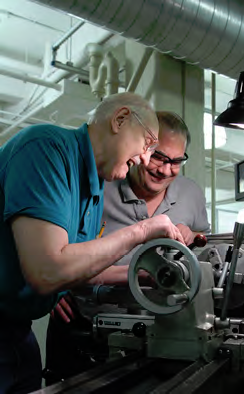 After numerous job interviews and multiple offers, David accepted a Screw Machine Helper position with Prion. Prion provides David with a flexible work schedule that allows for maximum family which will offer him opportunities to climb the career ladder again. James, a 10 year United States Army Veteran, was looking for a new career path. In February 2014 James found New Century Careers and MANUFACTURING 2000 through an information seminar at the Veterans Leadership Program of Western Pennsylvania. James eagerly enrolled in MANUFACTURING 2000 and was excited to soak in all of the information he could. James trained for over 500 hours actively taking home text books and study guides to review each night. James was hired by a local manufacturer in August 2014 and could not have been more thrilled. New Century Careers is extremely proud of James and all of his hard work and commitment! After living in Pennsylvania for only a few years and taking a couple classes at a Community College, Jordan was unsure of which career path to choose. Jordan took inspiration from her Pap and decided to follow in his manufacturing footsteps. 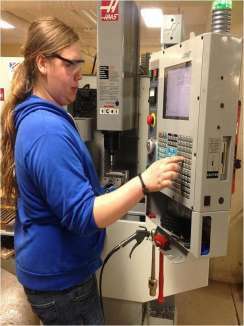 Jordan enrolled in MANUFACTURING 2000 machinist training in July of 2014. She committed fully to the program and trained for over 300 hours earning two NIMS industry credentials. After a few weeks of interviews Jordan happily accepted a position at a company she toured as a MANUFACTURING 2000 student. 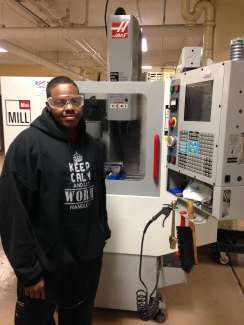 Jamal, a recent high school graduated knew he wanted to be a machinist. Jamal took the initiative to complete the MANUFACTURING 2000 entrance aptitude test and application before graduating high school. 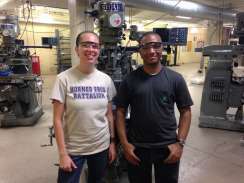 A month after his high school graduation, Jamal started his machinist training. 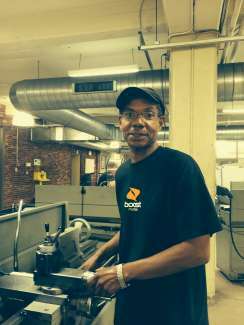 Jamal also trained for over 300 hours, earned two NIMS industry credentials and was so dedicated that he had perfect attendance. Jamal excitedly accepted a position with a local manufacturer that he met at a New Century Careers MANUFACTURING 2000 job fair. Coming from what he describes as a “lower middle class” family, Mike knew the difference between a job and career. Mike knew that he was capable of more and was determined to gain the skills needed to have a life long career. 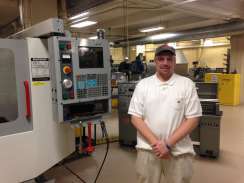 Knowing that machining would allow his intelligence, attention to detail, and ability to focus to shine, he enrolled in the MANUFACTURING 2000 program at the Eastern Westmoreland Career and Technology Center in Latrobe. While training it was Mike’s goal to earn all eight level 1 NIMS credentials. Ultimately Mike trained for 600 hours and earned a record 6 NIMS credentials. Because Mike showed such skill during his MANUFACTURING 2000 training, he was able to enroll in the NTMA Apprentice program as a first year student where he will be able to earn the rest of the level 1 NIMS credentials. Mike was ultimately placed at a New Century Careers partner company and couldn’t be happier. Nick, a freelance hair colorist who loved working with his hands was looking for a complete career change. Nick enrolled in MANUFACTURING 2000 looking for a stable career which would support himself and his family. While training in the night class, Nick picked up the skills quickly and had perfect attendance. Because of Nick’s success in the program, he was able to enroll in the NTMA Apprentice program as a first year student. After continuing training in MANUFACTURING 2000, earning two credentials, and starting apprentice classes, Nick was placed at partner company as a Polishing Department Supervisor. Nick is thrilled to be on his new manufacturing career pathway! Kevin was tired of working seasonal landscaping jobs. He wanted year-round career with endless pathways. Kevin enrolled in M2K in the spring of 2014 excited to learn. Despite working all day throughout the warm-weather months, Kevin attended night class without fail. Just like Nick, Kevin was extremely successful in the program and was able to enroll in the NTMA Apprentice program as a first year student and was able to test out of the first year of math. 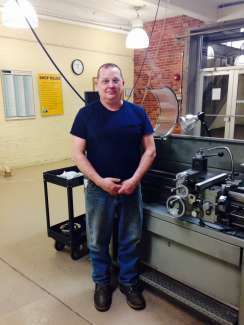 After training for 500 hours Kevin gained employment at a machine shop minutes from his house. We are sure Kevin and Nick will stay great friends as they go through the four years of apprentice training together working to earn their Journeyman Papers! Recent high school graduate and retail employee Caz, was unsure of what career would satisfy him. All he was completely sure of was that a traditional 4 year school wasn’t for him. A New Century Careers employee recommended MANUFACTURING 2000 to Caz and he excitedly enrolled thinking that this was a great option for him. Because Caz was a recent high school graduate, he was still focused on learning and had math skills fresh in his head. Caz trained for over 400 hours, earned two NIMS credentials, went on 4 company tours and cut off almost a foot of hair! Caz was placed with a local manufacturer as a CNC Machinist and could not have been more happy to be able to quit his retail job and begin a new career path! Tom came to Pittsburgh for a fresh start. Remembering his mechanical drafting and Autocad courses in high school, he knew M2K would be a good fit. Tom enrolled in M2K during the fall of 2015 and from the start was committed and eager to learn. 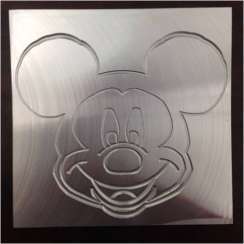 Tom loved the introductory CNC training he received through M2K and had even worked to make his girlfriend a Christmas present! Tom earned two NIMS credentials, trained for over 400 hours and because of his program excellence was able to use additional third-party funding to enroll and a Saturday GD&T blueprint course. By February 2015 Tom was totally ready for a new career! After interviewing at a few places Tom chose a great career which he couldn’t be more excited about! Defeat was not an option for Mike. He knew he had to work hard and over come numerous barriers to succeed. Upon first hearing about MANUFACTURING 2000 Mike knew it was going to be the program to change his life. Mike enrolled in MANUFACTURING 2000 in the fall of 2014 and despite having to take multiple busses traveling for over an hour to class, he had near perfect attendance. Mike trained for over 400 hours and expressed his gratitude for the opportunity daily. His passion and dedication allowed him to utilize additional training funds and enroll in Saturday GD&T classes and online Tooling-U courses. Mike was placed with a local manufacturer only a few miles from his home and could not have been more happy! Ahmed never gave up. With assistance from the Urban League of Greater Pittsburgh Ahmed found New Century Careers and knew instantly that MANUFACTURING 2000 would be a great fit. Ahmed trained with M2K for 8 months completing all required projects and earning 2 NIMS credentials. Ahmed did so well during introductory CNC training that he was able to utilize additional training funds to enroll in a Saturday CNC course. While working overnights and watching many of his classmates secure manufacturing jobs, Ahmed never got discouraged! 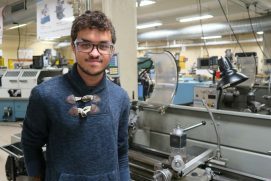 Ahmed’s patience paid off when he was placed with a great local manufacturer in a first shift position. Ahmed is very grateful for the opportunities NCC has provided him and is so excited to no longer work overnight! Robert, a former under water salvager was tired of seasonal work and being consistently laid off. Wanting to start a family, and understanding the value of hard work, Robert needed a more stable career. Robert came to New Century Careers in the winter of 2015 and trained for over 450 hours. 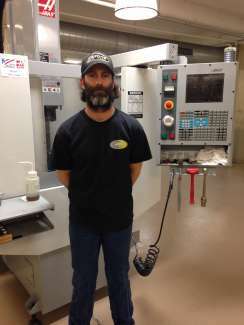 Robert earned two NIMS credentials and excelled in the CNC portion of training. Because Robert showed dedication and introductory understanding of CNC, He was able to enroll in additional training courses on the weekends. 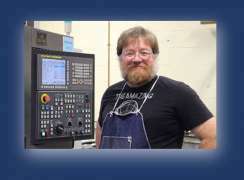 After completing a CNC programming and GD&T course, Robert had numerous job offers. Before joining the M2K program in February 2018, Dominick completed four years of tech classes at Chartiers-Houston High School and was a member of its BotsIQ team. Dominick said he enjoyed BotsIQ because it was challenging and it allowed him to meet new people with similar interests. After high school, he went on to college but decided it wasn’t for him. After speaking with his BotsIQ teacher, Dominick learned about NCC’s M2K program. Dominick was offered a machinist position in September and he’s looking forward to growing in his position. He hopes to one day join an apprenticeship program. Originally from India, Avi moved to the U.S. with his family in 2017. 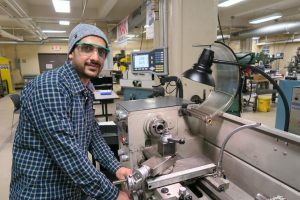 He earned a bachelor’s degree in mechanical engineering from Punjab Technical University and joined the M2K program in June 2018 wanting to learn the basics of machining. In November, Avi accepted a machinist position with a local company. He hopes to one day go back to school and earn his master’s degree in industrial engineering. Nelson was hired on-the-spot immediately following an interview. In October 2013 Nelson joined two other MANUFACTURING 2000 graduates at Dura-Metal Products Corporation. Not only did Sharon excel through MANUFACTURING 2000 gaining new skills, but she has also created a relationship with each of the other students.